Summer is over for many kids, but not for everyone! My kids start school in September in the Pacific Northwest. We haven’t shopped for back to school yet, but we will be at the beginning of September. Your child’s school probably has the official school supplies list available, so you can make sure that you have the right kind for each class. Most of the items should be available for less at the discount store. Here’s a look at the top 10 things you’ll need to pick up before your kids go back to school. 1. Binders and Folders – Every class requires something to keep loose papers organized. Binders and folders keep them from getting torn and lost in the daily trek to and from class. Your child can also put notebooks, extra paper, a pencil pouch and monthly planners inside their binders so they don’t get lost. 2. 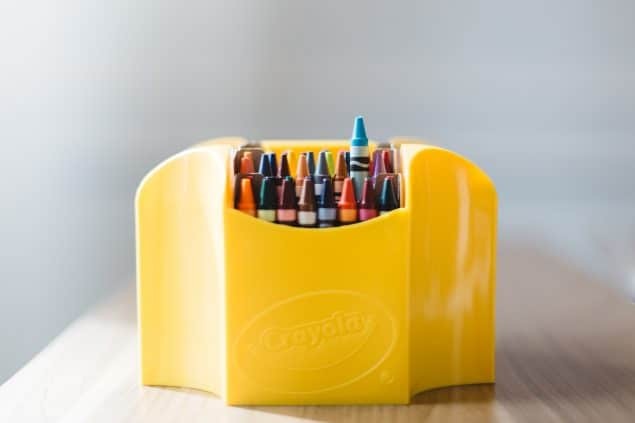 Desktop Accessories – From binder clips and pen cups to pencil cases and battery-operated fans, it’s time to stock up for your child’s desk at home and at school. Don’t forget tape, a stapler, pencil sharpeners, erasers and a calendar. 3. Crayons and Markers – Check on the school supplies list to find out what types of crayons and markers are needed. They’ll probably specify crayons by color, or markers by broad tips, felt markers, highlighters or dry erase. 4. Pens and Pencils – Mechanical pens and pencils, lead and standard pencils are always high on the list of required items. Make sure that you have at least some regular #2 pencils, since they’re the standard used for computer-graded tests. Blue, black and red ink pens are common for older kids. Unless your child is perfect, you’ll need ink erasers and correction tape or fluid are needed to fix small mistakes. 5. Tape and Glue – Glue sticks are the most popular options for in-school projects, but glue bottles and dots are also available. Transparent tape comes in clear and translucent styles. Make sure there’s a dispenser in the package, unless you have one at home. 6. Scissors – Children’s scissors are usually five inches long, and they have either pointed or blunt tips. Older kids can use longer scissors. 7. Paper and Notebooks – Depending on your child’s age, you may need wide rule or college rule spiral or loose-leaf paper. Graph paper is an important item for math and geometry in higher grades. 8. Electronics – Once your child reaches sixth grade, items like scientific calculators start popping up on the list. You might also want to pick up some earphones, chargers and extra batteries while you’re shopping – even if they’re not mentioned. 9. Digital Covers and Cases – Keep your child’s phone, digital devices and electronics in good shape with covers and cases. As much as you hate to think about it, they’re going to get dropped and hit. Look for soft plastic phone bumpers and scratch-resistant sleeves. They typically come in an assortment of colors. 10. Hygiene and Sanitizers – Hand sanitizers come in a variety of shapes and sizes. Washing their hands is always important, but keeping a bottle of sanitizer or some wipes in their desk, locker or backpack can prevent your kids from picking up germs and getting sick as often. Some schools also request that kids bring in a box of tissues, a roll of paper towels or a bottle of liquid soap for all students to use in the classroom. What back to school items would you add to this list?